Eye-popping 3-D! - The Best 3-D shots in film history: all in one place! 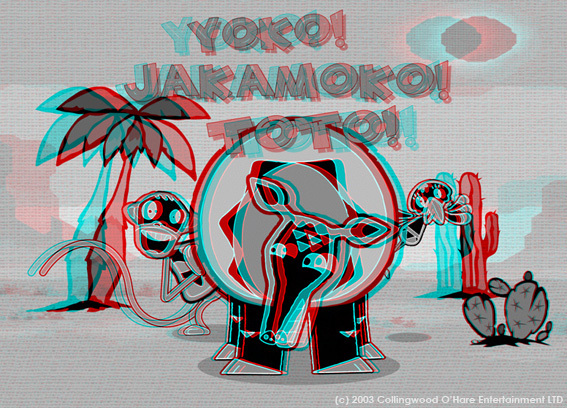 That's 3-D as in Stereoscopic film, like with the red-blue or polarized glasses (as used at the IMAX, in Real D and Disney Digital 3-D theatres), not 3D CGI as in Toy Story, Finding Nemo and Shrek. Although you can release a 3D CGI film as a stereoscopic 3-D movie as well, like done with The Polar Express, Monter House, Open Season and the planned Monsters & Aliens and Shrek 4. 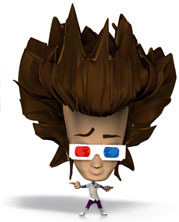 I know, it's confusing, but just remember: when it says 3-D it means 3-Dimensional and when it says 3D it's CGI computer animation. Stereo 3-D and Stereoscopic 3-D mean the same thing and they have nothing to do with your HIFI stereo or your Dolby Surround set. We offer complete turnkey solutions for your 3-D stereoscopic film ,video or animation production, or still image, photography, print or website promotion. We specialize in 3-D production assistance, production planning and stereoscopic consulting from script to screen. Are you already in post-production of your animation project and you have just decided to go 3-D? 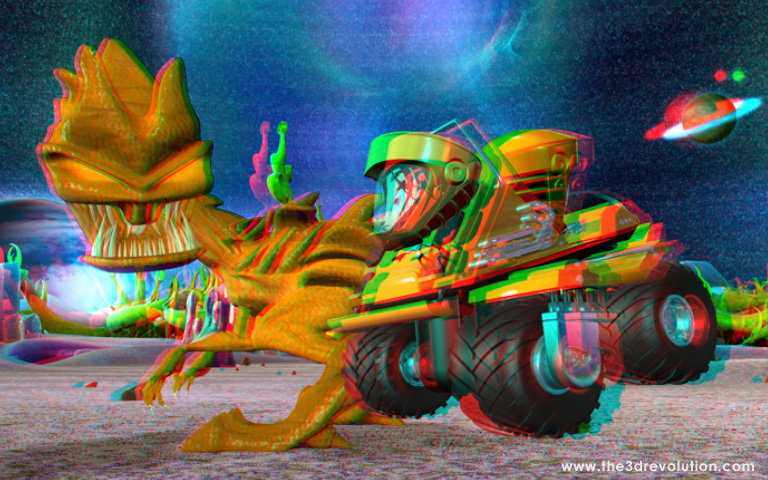 We can help to turn your production, as it is, into a 3-D stereoscopic presentation with proper 3-D cinematic impact. At 3-D Revolution Productions we construct 3-D stories from the ground up and think 3-Dimensional from script to screen. Not just as an afterthought but in a way that will blow the minds of a new generation of 3-D moviegoers! And all that for an affordable budget. Getting 3-D wrong is not only going to annoy and keep away audiences, it can be a very costly production part. At 3-D Revolution Productions we know how to get 3-D prodution right from the start and how to avoid time and money consuming mistakes, misconceptions and pitfalls. If you are thinking of producing in stereoscopic 3-D, or are right in the middle of a 3-D production, you will want all technicalities to be sorted hassle free, the creative 3-D ideas to work and the impact of the 3-D to be the best it an be. Contact us. 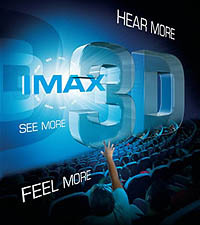 Movie-goers are clear about what 3-D they like and what 3-D they are willing to pay up to 50% more for. 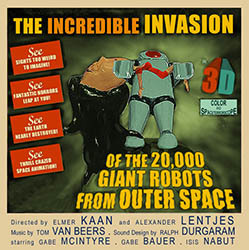 It is quality, effective and seriously entertaining 3-D. Three D that is approached from start to finish in a serious, unique and complete way. This is exactly what we do at 3-D Revolution Productions. 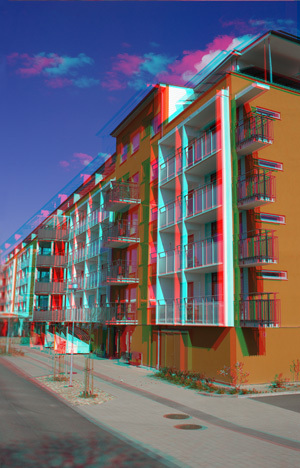 We have been working in the field of stereo 3-D for over 10 years. 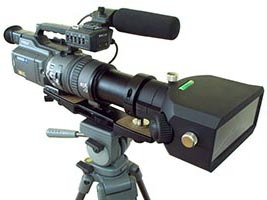 Stereoscopic 3-D film, video and animation are our specialty and we know the medium absolutely through and through. We understand the medium and its possibilities and employ its full potential rather than just trying to copy what has come before. We create stereoscopic content, with a background knowledge of 3-D hardware, rather than being 3-D hardware manufacturers who do a bit of 3-D image creation on the side. 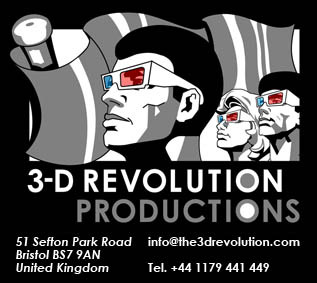 At 3-D Revolution Productions we are all trained film makers, animators, directors and FX specialists with a background in feature film and broadcast television production. 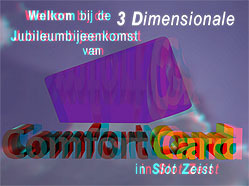 We incorporate the latest advances in 3-D technology as much as the proven, unfailing techniques of the rich stereo 3-D past to make your 3-D dreams into a screen reality. We’ll do whatever it takes to get to the best possible 3-D end result! 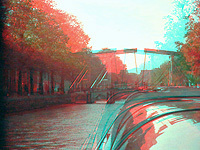 I am very happy to help you out with your 3-D stereoscopic projects, at any stage of production. My professional productional and directorial expertise in 3-D and vast knowledge of the medium will be a valuable asset to your project. Stuck in development hell or not sure how to turn your stereoscopic ideas into a screen reality? 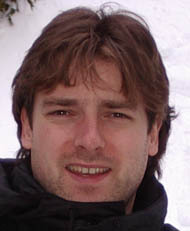 I am available as a freelance 3-D director and planner to get your project on track, on time and on budget. Be it a special 3-D project, short or feature film, webcast or television broadcast, in Real-D format, polarized projection, anaglyphic, field-sequential or otherwise. I hope to be working with you on your project so we can make it a visually stunning 3-D story, incredible eyecandy and a smashing commercial success. We can create 3-D versions of your exisiting property and imagery for special 3-D promotions. Nothing pulls more viewers and interest than a special episode of your Television show in 3-D, advertising or a big poster in 3-D. Your product or show coming off the page and out of the screen: Just Wow! 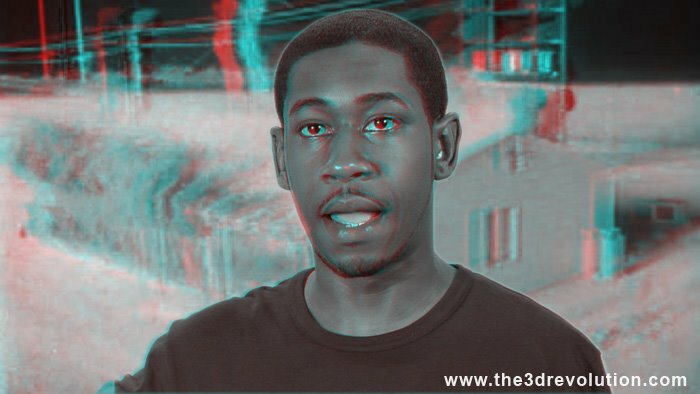 Free 3D stereoscopic film production information on how to build a 3-D Movie Camera, How to Shoot in 3-D, What makes for Good 3-D, 3-D cinematography, 3-D Film History, the Future of 3-D Film, 3-D Conversion and pretty much everything else there is to know about 3-D film, video and animation production, from script to screen, from shooting to projection. 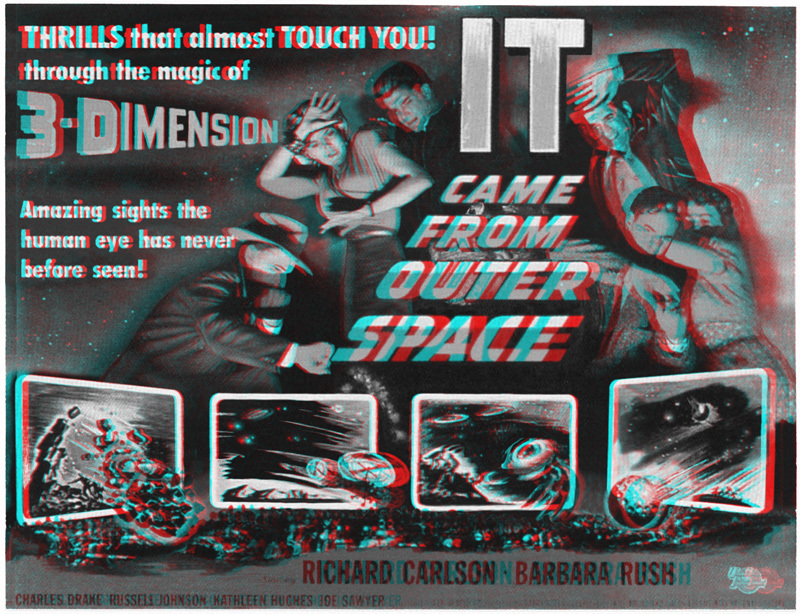 3-D Film Theory - The inner workings of 3-D Film. 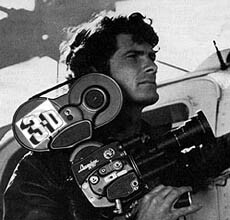 Ceci n'est pas un Cinéma régulier! 3-D Film List - The Ultimate list of 3-D movies ever released - Check it out! 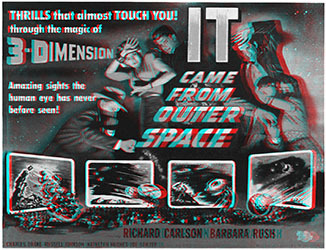 21st Century 3-D - Today's and tomorrow's 3-D Films. 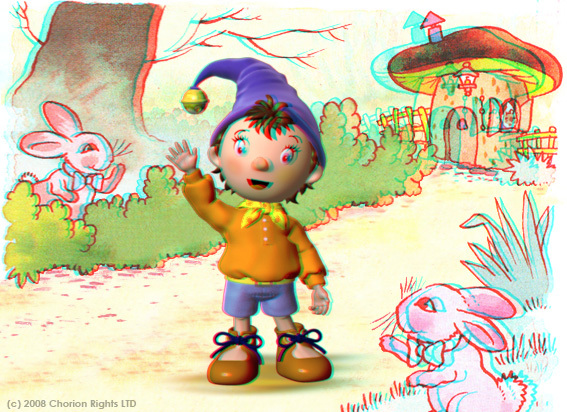 The State of the Art of Stereoscopic Film. A 8'30'' independent 3-D stereoscopic stop-motion/CGI animated short in vision-startling SpaceTerrorScope 3-D!